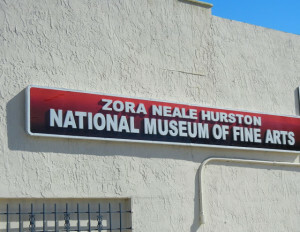 Description: The Zora Neale Hurston National Museum of Fine Arts (The Hurston) was established in 1990 to provide a place “in the heart of the community” where the public can view the work of artists of African ancestry, who live in the United States or throughout the Diaspora. There is no set admission, but each visitor is asked to make a donation. For tours, fee and reservations are required. P.E.C. 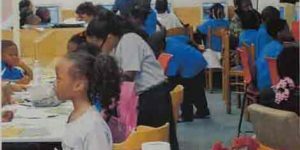 is experienced in providing culture/education/heritage field trips for a variety of audiences on a year-round basis through The Hurston. 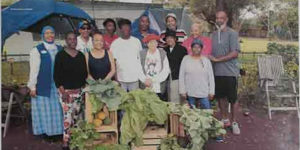 In addition to a museum tour and gallery talk, visitors may also participate in a walking tour or windshield tour of the town. For secondary school field trips, we can focus on literature, social studies, music, and visual arts. These tours connects to language arts, social studies and the visual arts. With every field trip and/or reserved tour, a grade-appropriate package or other resource package is distributed. (3) February – April 2015, The HUB-Robeson Galleries of Penn State University presented a 10-year Retrospective Exhibition drawn from the Hurston. 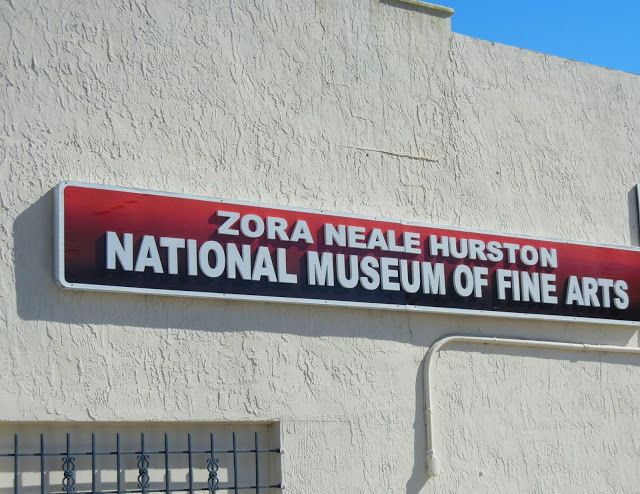 Long Term Success: For over 25 years, The Hurston Museum has served as a place where the public can experience the creative work of some of the country’s finest visual artists. Program Success Monitored By: There are several ways which we employ to evaluate the success of the museum: (1) peer review; (2) visitors’ comments; and audience attendance. Examples of Success: More than any of our other programs, The Hurston’s success rests on the support of the visual arts community. Without their support, we would not be able to present the quality of exhibitions that we do. By “their support” we are referring to the fact that 100% of the time we do not pay fees to the artists for the use of their work. Our only obligations are to provide adequate security and insurance for the artwork and to pay shipping costs where necessary.